Whats your favourite part of this outfit? I am obsessed with the fit of the jumpsuit and the colour contrast. Oh and the bag. In fact, I think I love everything haha. This jumpsuit is perfect, I might have to get it! Your so gorgeous, you look so good in your jump suit grace! Oh la la! Loving the pops of yellow!! Gracie, you look INSANELY GORGEOUS!! You should be so proud of yourself, you look incredible, and as a jumpsuit obsessive right now…I WANT TO STEAL YOUR WARDROBE!! 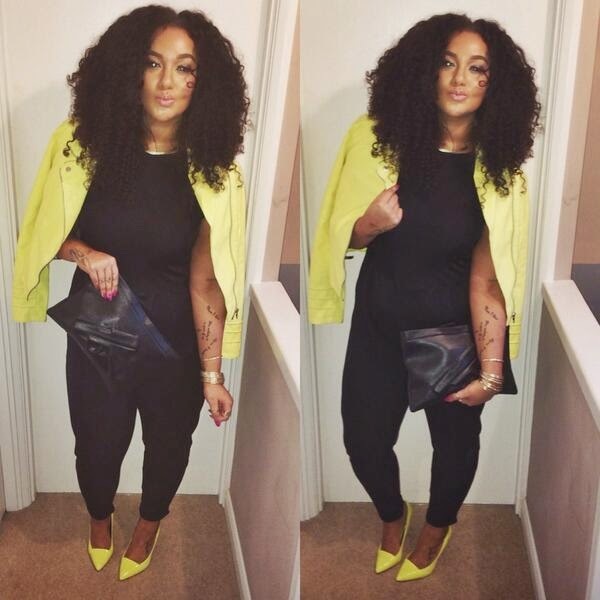 You look so amazing in neon yellow! Love this outfit!! especially the jacket! Recently started my blog and your such an inspiration! I so want that clutch!! Amazing photo francesca is beautiful good luck for the next photos nice outfit.